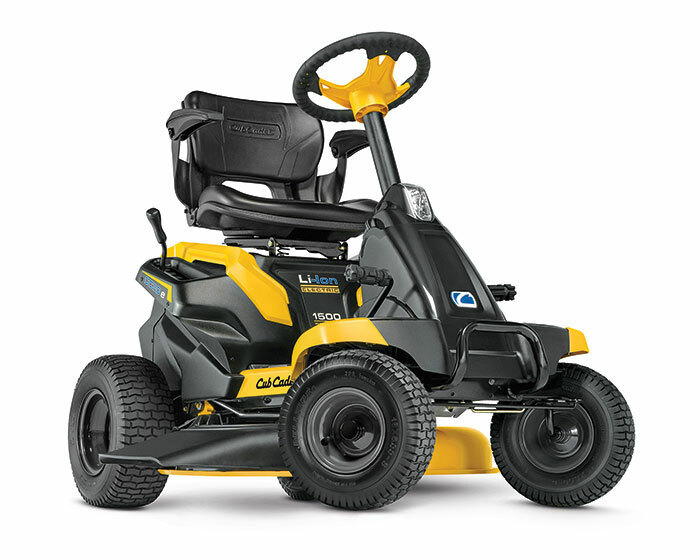 Cub Cadet CC 30 E Rider features a quiet, low maintenance lithium-ion battery that provides up to 1 hour runtime with no power fade and a 30 inch cutting deck. This mower has a LED high illumination headlight, premium Cub Comfort seat with armrests, cruise control, and speeds up to 5 mph. Its compact size allows you to maneuver through narrow spaces and store easily.